Leading Manufacturer of Coir Roll - PVC Backed and Coir PVC Backed Rugs Printed (Tailor Made Design) from Alappuzha. 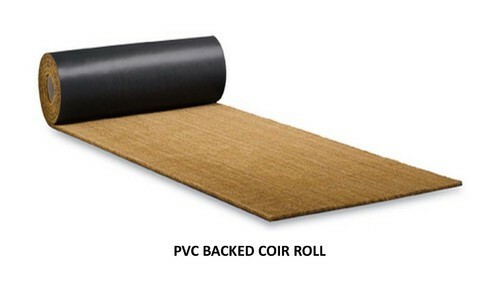 We are a highly acknowledged organization, engaged in presenting a remarkable range of PVC Backed Coir Roll. Special orders as per buyers requirements also can be accepted.